Minerva Punjab play fellow I-League newbies Chennai City at Jawaharlal Nehru Stadium on Sunday evening. With the season opener likely to set the tone for the remainder of the tournament, the Warriors will look to produce a positive result in Chennai. 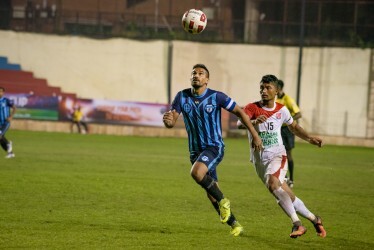 City and Minerva are fortunate to play each other in the opener as entering a joust with I-League juggernauts such as Mohun Bagan or Bengaluru in the opener might have hurt them mentally. However, the Minerva coach refused to undermine either team as he highlighted the players’ experience to accentuate the might of the teams. With Anirudh Thapa and Germandeep Singh being potential automatic starters, Minerva easily boast the youngest squad in the team. With the average age being 22, the players can be prone to schoolboy errors; however, the Minerva coach is adamant that his players have in them the quality to surprise the fans. Much like their opponents, Minerva had little time to build a team. Despite mourning the lack of proper pre-season training, he stated that his players’ time at AIFF Elite Academy together should be enough to generate team chemistry. He said, “There was not much time to prepare physically; there were no pre-season games for any team. It should not be an excuse, though. 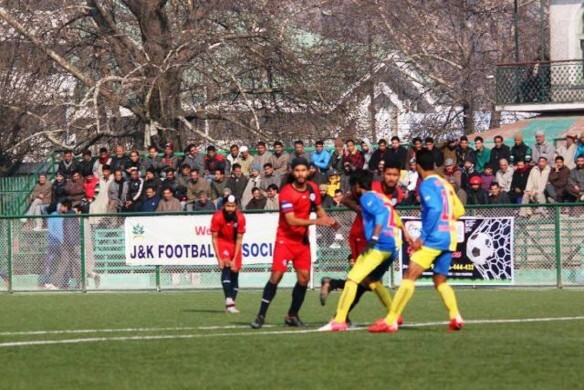 Any team playing in the I-League should perform. Concerning our team morale, the boys have played together at AIFF Elite Academy. They know each other’s’ style of play. It’s not difficult to co-operate on the pitch. Implementing a coach’s philosophy in less than a month is a Herculean task; however, he reckons that the philosophy had already been strongly ingrained during the club’s I-League 2 campaign last season. “I’m carrying the experience I had in I-League 2. We have also retained many players who played under me in that division, so there would not be any problem regarding the players adapting to my style. I know what each player can offer to the team. They boys have prepared well; they know the philosophy of the club very clearly, so we don’t have any such problem,” he concluded.